Korea has a wealth of traditional foods and recipes, but it's also a goldmine of modern dishes. Some of the "new" dishes are modernized takes on traditional dishes, while others are fusion cuisine. This list even includes some old favorites livened up with global ingredients. 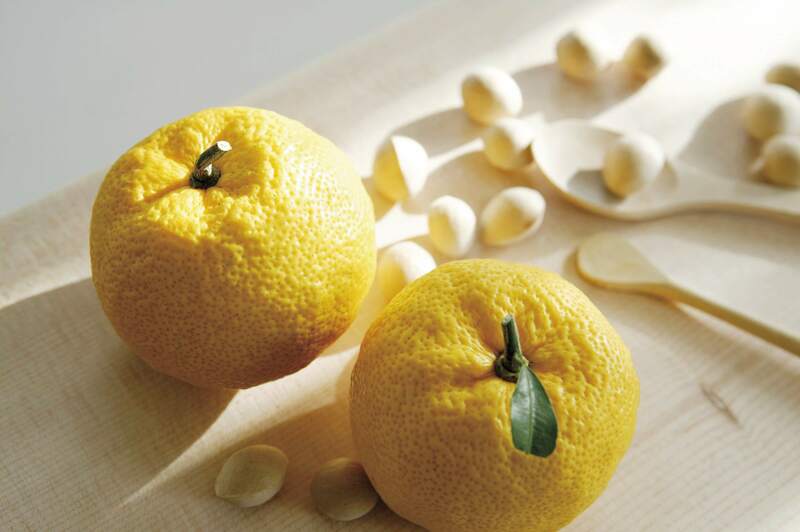 Yuja, the Korean citron fruit, has a zingy, tart flavor that combines elements of mandarin oranges, lemons, and grapefruits. Although yuja chung, the Korean yuzu marmalade, is traditionally used for making hot tea like yuja tea, it can add vitality and contemporary glamor to mixed drink cocktails. Bright and fresh, this shrimp salad is packed with vegetables and topped with a spicy-sweet dressing. You can increase the amount of pasta and shrimp if you want to serve this as a full meal. Canned tuna fish is popular in Korea for the same reasons it is popular in many other parts of the world: it's convenient, tasty and a good source of healthy protein. These tuna croquettes (or tuna pancakes or patties) are delicious when eaten hot, but they are also a popular snack or lunchbox food that can be eaten at room temperature. Budaechigae (Korean army base stew) was invented during the famine years of the Korean war and post-war period. Koreans managed to use leftover meat discarded or handed out from the U.S. army bases to make this dish (" Budae" means military base and "Chigae" means stew in Korean). It's a recent invention with a thousand variations, but it's mostly a lip-smacking mixture of Western meat, ramen noodles, vegetables, and spices. This vegetable salad has a lot of peppery notes and crunch. It's perfect topped with a smooth yogurt and garlic dressing. This easy spicy Korean coleslaw recipe can be made with Western cabbage (yang baechu). These days, now that you can easily find bagged coleslaw in grocery stores, this Korean coleslaw is easy to make. There's no mayo, so this coleslaw is light and pairs well with both picnic food and Korean meals. This is not a traditional Korean recipe, but these spring rolls are made with perilla leaves and kochujang (spicy Korean chili pepper paste), two common Korean ingredients. Korean Potato salad recipe is popular, which surprises many non-Asians. It's either included in meals as a side dish or makes a meal as a sandwich filling. Unlike Western versions, it includes fruit, vegetables, and sometimes ham, and it doesn't have a vinegary component. I usually omit the ham if I'm using it as banchan (side dish) but include it if I'm expecting to use the salad for lunch or picnic sandwiches. A yogurt soju cocktail might sound crazy if you're new to soju, but yogurt soju is popular in Korea and all over Asia. Both yogurt and soju go well with the fiery aspects of Korean cuisine, so it makes sense that they'd be mixed by Koreans. But be careful, as the most common complaint about yogurt soju is that it's so easy to drink that you're drunk before you know it. Although this is not a traditional Korean drink, both soju and ginger are important and essential parts of Korean cuisine.